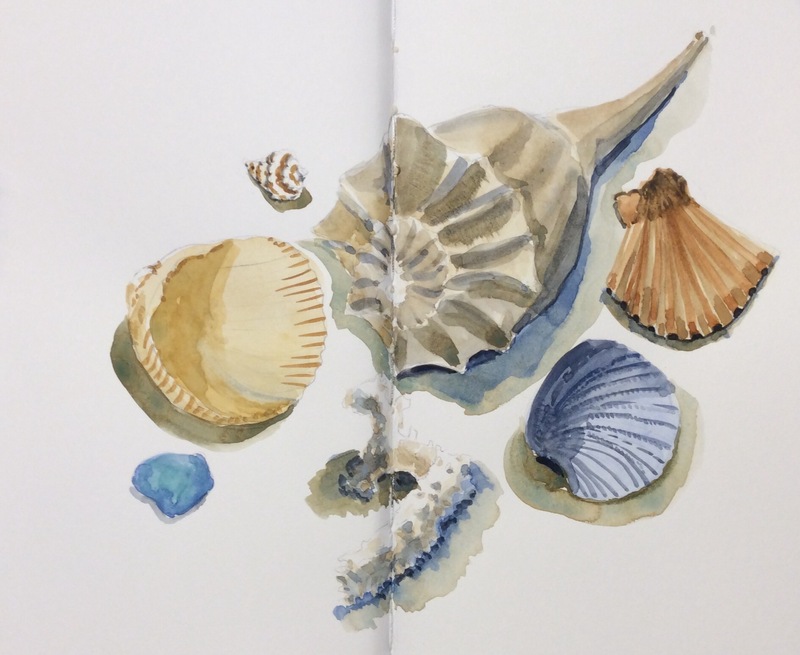 Lesson 4 in Wil Freeborn‘s book is a still life using shells and such. 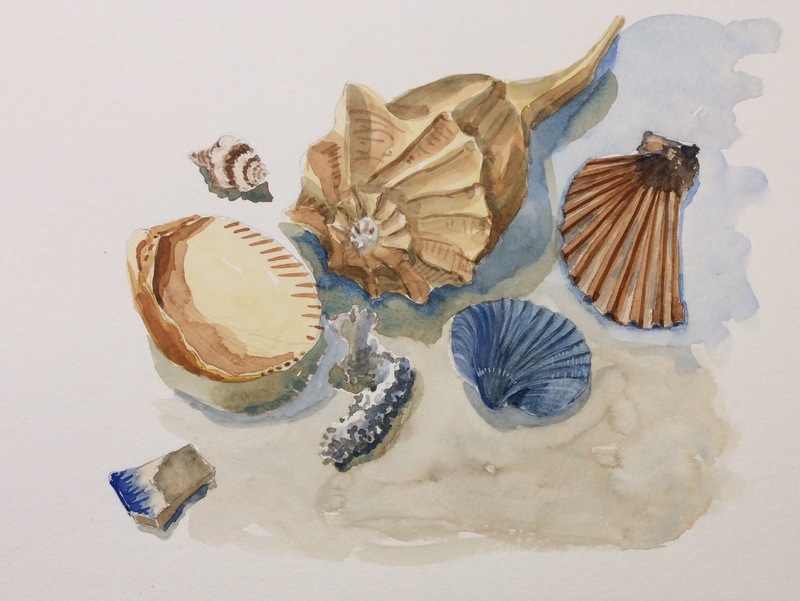 I spent way too long trying to compose a nice arrangement picking items from my vast shell collection. Having finally settled on an arrangement I liked, the drawing went well, but not the painting. So I decided to have a second go at it (on watercolour block for a change) and changed a few details. Well, the second one is better in some ways, but not in others. It’s all part of the ongoing learning process. Lessons learned: keep it simple — I think there are too many different complex shapes that I then tried to render with too much detail; I like granulation when using cerulean blue in the mix; be subtle and build gradually. I think both are beautifully painted. I am enjoying looking at many days work all at the same time. And I’m loving the book too. Thanks for all the feedback Shari! Wil’s book is providing focus and motivation… and it’s fun!